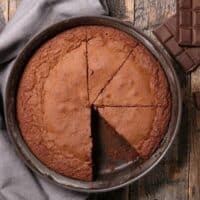 Are you doing a keto diet and missing Hershey’s “Perfectly Chocolate” cake recipe? You know the one that’s on the back of the Hershey’s cocoa powder box? Well, that’s the problem I was encountering. Having grown up making Hershey’s chocolate cake I was bound to start craving this rich chocolatey recipe. Needless to say, a Keto Hershey’s Chocolate Cake recipe would become a must for this girl. 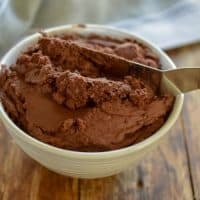 This recipe is like the majority of the keto ones I share, in that they start with an intense craving for the high carb version. It’s what fuels me into finding a way to bring it back into my world without the need to cheat. Which is why I am thrilled to be able to share my Low Carb Hershey’s Chocolate Cake with you today. 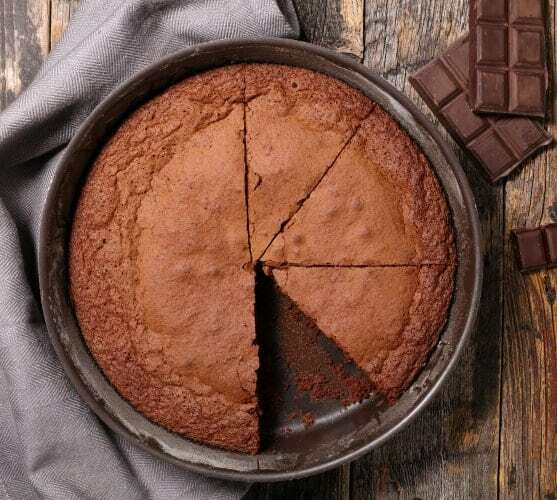 This keto chocolate cake is moist with a perfect rich chocolate flavor and the same smooth crumb you love from the Hershey’s original. Because let’s face it, you can’t enjoy Hershey’s “Perfectly Chocolate” cake recipe while doing a low carb diet. 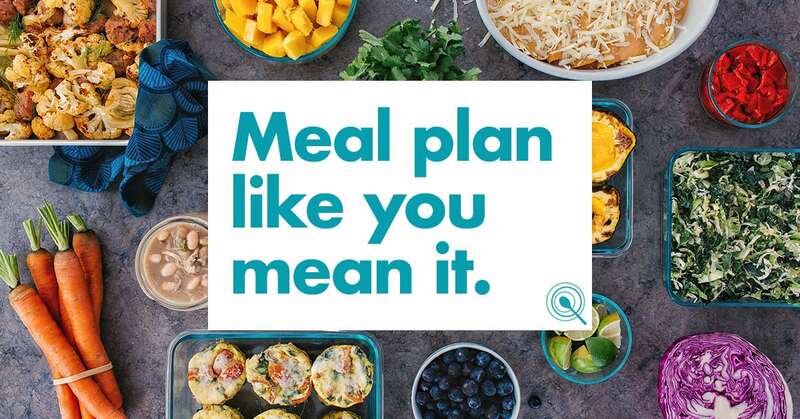 Not if you’re wanting to stay in ketosis that is. Wait I take that back since this recipe for Keto Hershey’s Perfectly Chocolate Cake will singlehandedly allow you to enjoy this classic while doing a keto diet. Yay! I’m loving the idea of creating Hershey’s cocoa keto recipes. I will say that if you’re a fan of chocolate cakes you might also want to try our Keto Chocolate Cream Cheese Pound Cake recipe. It’s another rich dark chocolate cake that is sure to silence your chocolate cravings. I also have a keto chocolate coconut flour pound cake that uses Hershey’s cocoa powder. This makes it a nut-free option. In case you don’t know I have a complete list of Keto Cakes that any cake lover doing keto would enjoy exploring. 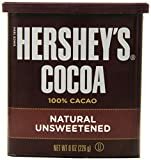 If you are wondering if Hershey’s cocoa powder is keto-friendly, rest assured it is. The good news is that cocoa powder has zero sweeteners and can, therefore, be used in keto baking. This means you have the green light to use Hershey’s cocoa powder while doing keto. Let me start off by saying that my love for Hershey’s Chocolate cake is two-fold. One the fact that it’s a super easy recipe to execute and two that it boasts a rich chocolate flavor. I can’t tell you for sure, but I’m pretty certain that the recipe on the back of the cocoa box was probably the first chocolate cake I made from scratch a kazillion moons ago. Don’t get me wrong I know that there are some fancier brands of chocolate out there but here’s the thing, Hershey’s brand of chocolates has never disappointed me. Not even once. I’ll admit that at first, I thought that my attempt in converting this classic recipe into a keto-friendly option was going to be impossible. Thankfully, that was not the case. A little prayer before attempting to convert a recipe is the secret to my success. Just like the original recipe you’re going to start by mixing the dry and wet ingredients in two separate bowls. I did, however, replace the vegetable oil that’s called for in the original with melted cooled butter. Because butter is always a good idea. Don’t you agree? You can also use melted refined coconut oil, or ghee in place the butter. If you opt to use coconut oil I suggest you use refined coconut oil so that the coconut flavor doesn’t overpower the recipe. Instead of the 1 cup of milk, I used 1/2 a cup of heavy whipping cream and 1/2 a cup of water. The milk is way too high in carbs. Thankfully this cream and water combo works as a great substitute. I also used 3 large eggs instead of the two that the original recipe called for to ensure the cake would be moist and have the perfect crumb. Of course, in order to make this a true Keto Hershey’s Chocolate Cake, I also swapped out the sugar for a sugar substitute and the all-purpose flour for a finely milled almond and coconut flour combination. Then it was just a matter of combining the wet ingredients with the dry and then stirring in the cup of boiling water at the end. Don’t be alarmed with the fact that this recipe has a thin batter, this is exactly the consistency you want and mimics the traditional Hershey’s cake. Usually, when I find myself craving chocolate it’s an indicator that my magnesium levels may be a little low. At that point, I make sure I take some magnesium and then proceed to the kitchen to find some chocolate. It’s pretty incredible how our body can tell us what we need if we learn to tune in. 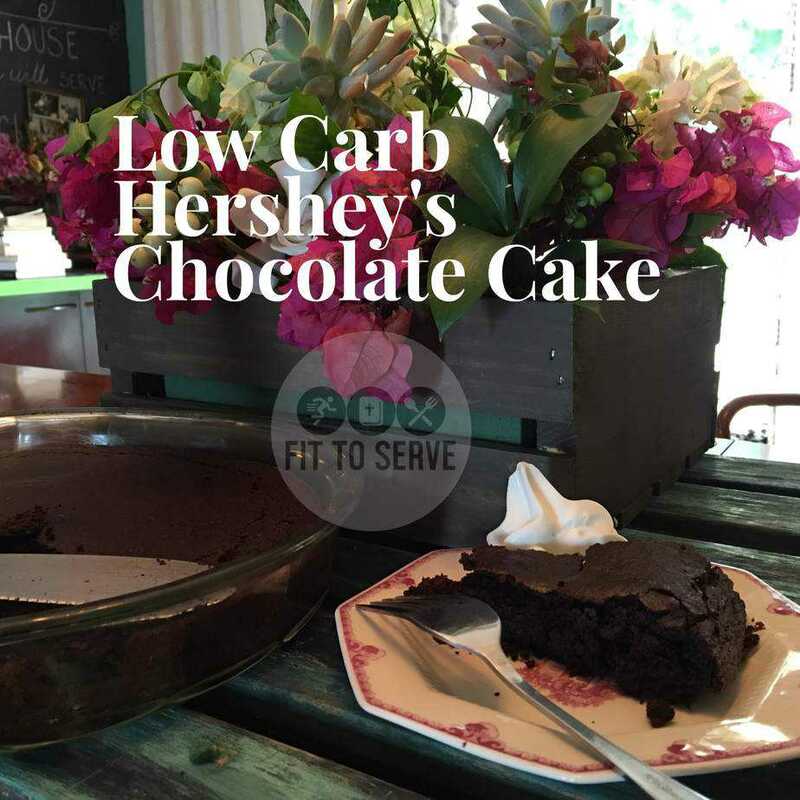 My low carb Hershey’s chocolate cake is a great alternative to the original recipe. It is just as rich tasting and easy to make. Having the ability to enjoy a classic chocolate cake without the worry of it causing you to slip is why I am so passionate about creating keto recipes. I sure hope you will give this recipe a try. Once you do, make sure you remember to tag us on Instagram and Facebook. 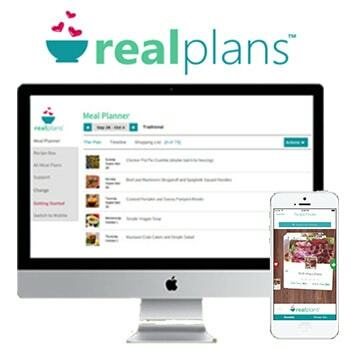 It’s what keeps this girl encouraged to keep sharing and perfecting her recipes for you. 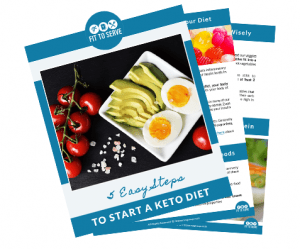 Have you struggled to get into ketosis consistently on your low carb keto diet, or you have hit a plateau that doesn’t seem to budge? Consider using exogenous ketones. 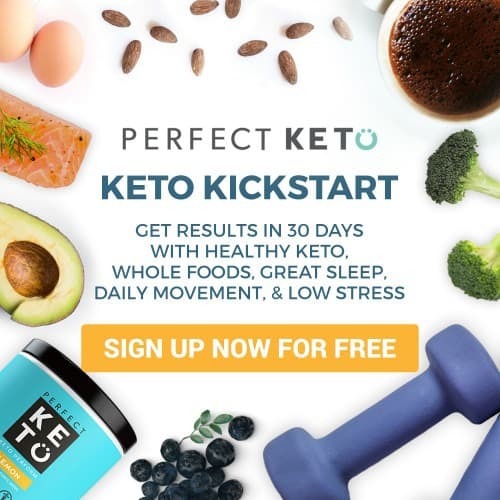 Using exogenous ketones will naturally elevate your ketones allowing you to enter into ketosis quickly. 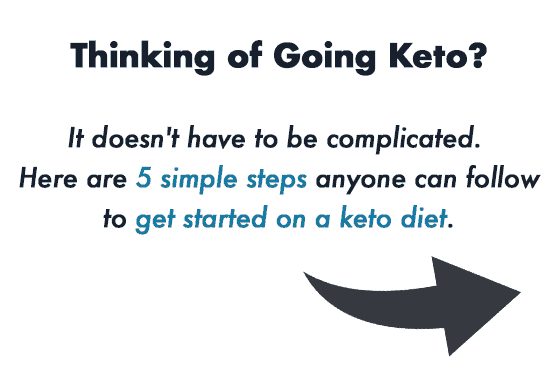 You will reap the benefits of being in ketosis faster making it much easier to see the results you are hoping for. 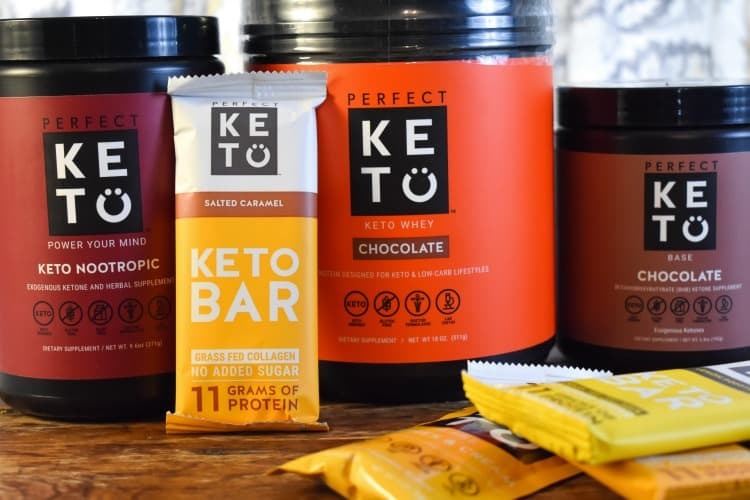 Exogenous ketones can help reduce your appetite, carb cravings making it easier to say no to food temptations. And who can’t use a willpower booster? We are seeing how this all-natural supplement is helping so many of our Fittoserve Group Community achieve their goals and it’s exciting to see the results people are experiencing. 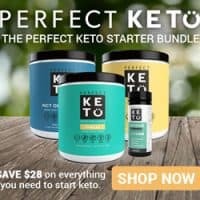 Use this link and get a 20% off discount when you place your order for any of Perfect Keto’s products. Then add the code FITTOSERVE at checkout. It's a recipe for a low carb keto-friendly version of the classic Hershey's chocolate cake recipe found on the back of the Hershey's cocoa powder box. Melt 1/4 cup of butter and set aside. Combine the heavy whipping cream with the water. Note this is not the boiling water. That will be added at the end of the recipe. In a large mixing bowl combine all dry ingredients and stir to combine. To the dry ingredients add the eggs, heavy cream & water combo, melted butter, vanilla extract and mix until combined using an electric mixer. Once everything is combined add the one cup of boiling water and stir until well blended. Bake for 35 minutes to 45 minutes, or until a toothpick inserted comes out clean. Just like the original Hershey's chocolate recipe this cake batter will be thin. Grease 13x9x2-inch baking pan. Heat oven to 350 degrees Pour batter into prepared pan and bake for 40 minutes. Grease three 8-inch round pans and pour batter into prepared pans and bake 30-35 minutes. Grease and a 12-cup fluted tube pan. Heat oven to 350 degrees Pour batter into prepared pan and bake for 50-55 minutes. Allow to cool for 15 minutes before removing from pan to wire rack. Line muffin cups (2-1/2 inches in diameter) with paper cups. Heat oven to 350 degrees and bake for 23-25 minutes. If you would like to frost this cake below is the recipe. 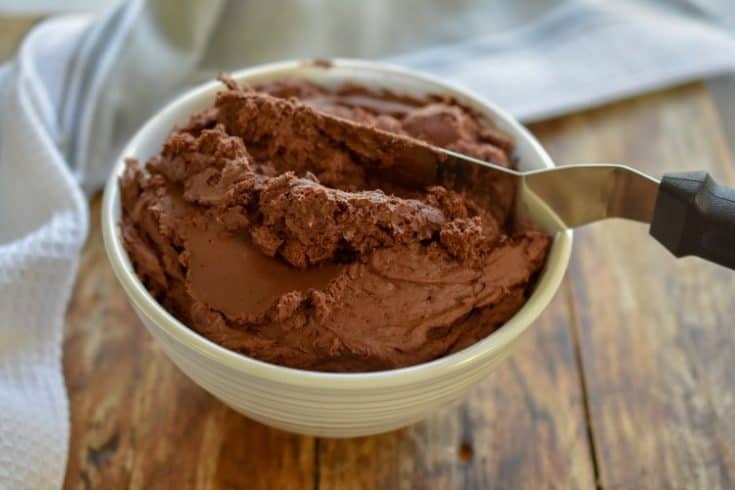 Keto chocolate buttercream frosting is a rich creamy chocolate frosting that is low in carbs and keto friendly. 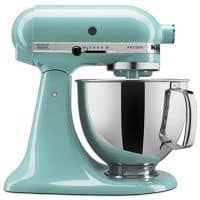 Cream the butter and cream cheese using an electric mixer at a high setting. Add 1 cup confectioners sugar substitute and 1/3 cup of dark cocoa powder to the cream cheese and butter mixture. Next add 1/3 cup of heavy whipping cream and beat on high till fully combined. Then add the remainder 1 cup confectioners sugar substitute and another 1/3 cup of cocoa powder. Combine well at high speed until well mixed. Lastly, end with the remainder 1/3 cup of heavy whipping cream. Mix the frosting till fully incorporated. Add the frosting to a fully cooled cake, cupcakes. Refrigerate any leftovers in the fridge and allow to come to room temperature before using as frosting. This makes enough frosting to generously frost a two 8 inch layer cake or 12- 16 cupcakes. Does Our Mindset Affect Our Eating Habits? Hi Terri, that was a mistake on my part. I guess it was a force of habit from when I did traditional baking. I updated the recipe to reflect that you only need to grease. Thank you for stopping by and making me aware. Do you think it will turn out okay with just almond flower? I don’t have coconut flower on hand. Thank you! Hi Tiffany, this recipe uses a combination of both almond and coconut flour and to use only almond flour would completely change the recipe. Coconut flour cannot be substituted cup for cup because it's a much drier flour alternative. I encourage you to come back to this recipe once you have coconut flour on hand. The good thing is that coconut flour is significantly less expensive. Hi! Instead of sea salt, can I use regular salt, how much? Any recipe for frosting? Can I make it a day ahead? Thanks! I noticed in the ingredients vanilla extract is listed, but no indication to when we add it to the batter in the recipe. When do you add the vanilla extract? Hi Jamie, sorry about that I just updated the recipe card. You add the vanilla extract in step 7 when you add the eggs and all the other wet ingredients. Thanks for making me aware that I neglected to mention this. Hershey’s Chocolate Cake the Keto way? Omg!!! I sooo can't wait to try this! I really do love anything sweet like cakes, chocolates and ice cream so this is really a must try for me and my mom! I am trying to lower down my sugar level that's why I am looking for recipes like this. Thank you so much for sharing this! I tried to click the 2 cups sugar substitute link however, it goes back to the same website. Did you use splenda on this one? 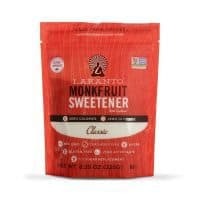 Hi Khayrie, My preference is to use Lakanto Sweetener: https://www.lakanto.com/collections/shop-products/products/lakanto-classic-sugar-free-sweetener-family-size-800g?aff=99 It's a natural option with zero glycemic impact on blood sugar levels. However, you can use Splenda as well with no issue. Enjoy! Hi! I'm gonna try the cake today and you told me about the chocolate frosting. I was wondering if I want to do the half of the frosting recipe, because I don't need too much... I can adjust it? Thanks! Hi Glory, yes, by all means, half the frosting recipe. I also made the Original Hershey's Chocolate cake many times for co-workers. I thank you so much for this recipe. I made it today and it is delicious. May our Lord continue to bless you. You certainly are a blessing to so many of us trying to live a healthy lifestyle. Hi Audrey, I’m so Happy you enjoyed the recipe Darling. Thank you for the lovely comment and for stopping by to encourage me. I just made this cake. I used the Lakanto sweetner as directed. The flavor is great, but it was very granular and sort of crunchy. It didn’t rise like I expected. It was good, but I am not sure if I did something wrong or really should not use 2 cups of the sugar. I followed the recipe exactly and made in a 9x13 pan. Hi Dawn, Not sure what of gone wrong either. I don't understand why you added to cups of sugar though? Perhaps that was the issue. It's a low carb cake no sugar only sugar substitute should be in the recipe. Thank you for your reply. I used the Lankanto sweetener not actual sugar. I wanted to verify that it should be two cup or less. Hi Dawn the recipe calls for two cups but you could reduce the sweetener to your preference. Did I miss the link to frosting somehow? Hi Nichole, I had not included a chocolate frosting recipe but at your suggestion added one. Enjoy!